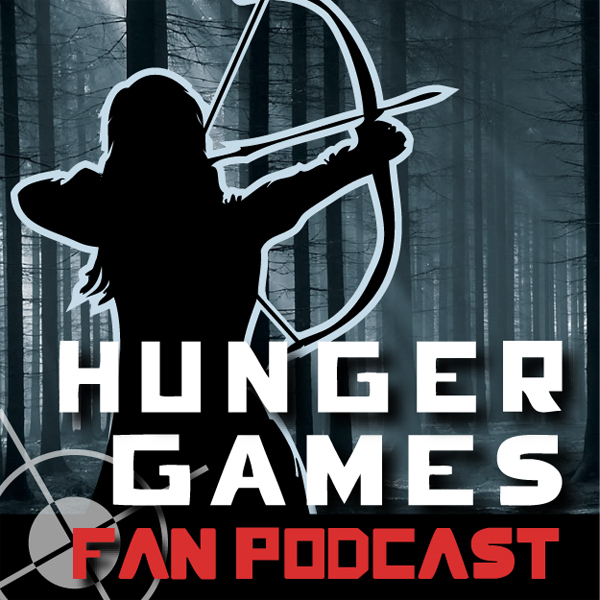 Welcome To The Hunger Games Fan Podcast! The Hunger Games Trilogy is takes place in a post apocalyptic future were the United States of America has collapsed and supplanted by Panem, a country divided into the Capitol and 12 districts. Each year, two young representatives between the ages of 12 and 18 are selected from each district to participate in The Hunger Games. The televised games are broadcasted throughout Panem as the 24 participants are forced to eliminate their competitors, literally, with all citizens required to watch. If you can get over the brutal concept of young kids fighting each other to the death for people’s entertainment and the fact that this series was originally written for a very young audience, we feel that you will come to enjoy this series like millions of people around the world have. Cliff and Stephanie invite you to join them as they share their initial reaction to this story as they are reading it for the the first time. If you like this podcast, you may also like the Twilight Saga Fan Podcast, Lord of The Rings Fan Podcast or the Family From The Heart podcast. Of course we invite you to check out our complete list of podcasts. In this episode of the Hunger Games Fan Podcast, Stephanie and I share our reactions to the finale of Mockingjay. We would like to invite you to “Join The Community” in the discussion group that we have set up for The Hunger Games which you can find listed at http://gspncommunity.com/groups. In this episode of the Hunger Games Fan Podcast, Stephanie and I share our reactions to Mockingjay Chapters 24-26. In this episode of the Hunger Games Fan Podcast, Stephanie and I share our reactions to Mockingjay Chapters 21-23. In this episode of the Hunger Games Fan Podcast, Stephanie and I share our reactions to Mockingjay Chapters 19 & 20. In this episode of the Hunger Games Fan Podcast, Stephanie and I share our reactions to Mockingjay Chapters 17 & 18. In this episode of the Hunger Games Fan Podcast, Stephanie and I share our reactions to Mockingjay Chapter 16. In this episode of the Hunger Games Fan Podcast, Stephanie and I share our reactions to Mockingjay Chapters 14 & 15. In this episode of the Hunger Games Fan Podcast, Stephanie and I share our reactions to Mockingjay Chapter 13. In this episode of the Hunger Games Fan Podcast, Stephanie and I share our reactions to the movie, The Hunger Games. In this episode of the Hunger Games Fan Podcast, Stephanie and I share our reactions to the 12th chapter of the third book in the Hunger Games Trilogy, Mockingjay. In this episode of the Hunger Games Fan Podcast, Stephanie and I share our reactions to the 10th and 11th chapters of the third book in the Hunger Games Trilogy, Mockingjay. In this episode of the Hunger Games Fan Podcast, Stephanie and I share our reactions to the 8th and 9th chapters of the third book in the Hunger Games Trilogy, Mockingjay. In this episode of the Hunger Games Fan Podcast, Stephanie and I share our reactions to the 6th and 7th chapters of the third book in the Hunger Games Trilogy, Mockingjay. In this episode of the Hunger Games Fan Podcast, Stephanie and I share our reactions to the 4th and 5th chapter of the third book in the Hunger Games Trilogy, Mockingjay. In this episode of the Hunger Games Fan Podcast, Stephanie and I share our reactions to the 3rd chapter of the third book in the Hunger Games Trilogy, Mocking Jay. We also talk about our reactions to the newest movie trailer released this week. In this episode of the Hunger Games Fan Podcast, Stephanie and I share our reactions to the 2nd chapter of the third book in the Hunger Games Trilogy, Mocking Jay. We also talk about our reactions to the newest movie trailer released this week. In this episode of the Hunger Games Fan Podcast, Stephanie and I share our reactions to the 1st chapter of the third book in the Hunger Games Trilogy, Mocking Jay. In this episode of the Hunger Games Fan Podcast, Stephanie and I share our reactions to the 25th, 26th and the 27th chapters of the second book in the Hunger Games Trilogy, Catching Fire. In this episode of the Hunger Games Fan Podcast, Stephanie and I share our reactions to the 22nd, 23rd and the 24th chapters of the second book in the Hunger Games Trilogy, Catching Fire. In this episode of the Hunger Games Fan Podcast, Stephanie and I share our reactions to the 21st chapter of the second book in the Hunger Games Trilogy, Catching Fire. In this episode of the Hunger Games Fan Podcast, Stephanie and I share our reactions to the 19th and 20th chapter of the second book in the Hunger Games Trilogy, Catching Fire. In this episode of the Hunger Games Fan Podcast, Stephanie and I share our reactions to the 17th and 18th chapter of the second book in the Hunger Games Trilogy, Catching Fire.